I don't agree with everything he has to say, but the biggest and most important things I look at in relation to someone running for president (foreign policy, education, domestic economics, etc.) seem to be lined up pretty close with Dr. Paul compared to all the other candidates I've heard about on both the republican and democratic sides. Here is a link to some clips from the republican debate that happened on the 13th. 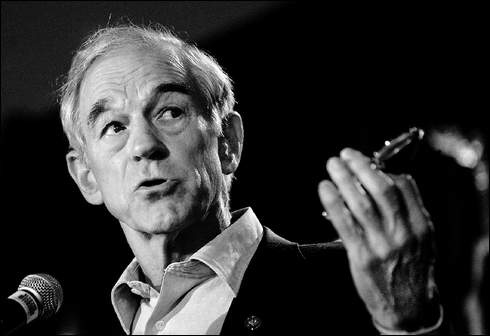 Check out the Los Angeles Times' article here that talks about Ron Paul's applause level during the debates. Photo taken by Shaun Connell.